As part of its Strategic Trade Controls Enforcement (STCE) Project, the WCO organized an unprecedented law enforcement operation to detect and prevent illicit trafficking of strategic goods in international supply chains. The operation, which went under the code name of ‘Cosmo’, brought together 89 WCO Member Customs administrations and their national partners to coalesce around the goals of international security and non-proliferation. Operation Cosmo benefited from the support of the WCO Regional Intelligence Liaison Office network and of the Organization’s international partners in this area – INTERPOL, the United Nations Office on Drugs and Crime (UNODC), the United Nations Office for Disarmament Affairs (UNODA), the International Atomic Energy Agency (IAEA), and the Organisation for the Prohibition of Chemical Weapons (OPCW). In addition to detecting and preventing illicit trafficking of strategic goods, Operation Cosmo had several other objectives. One of these was to take stock of the international Customs community’s capacity to work together in enforcing strategic trade controls. Another key goal related to assessing the Customs community’s capacity to enforce international strategic goods related resolutions, such as the United Nations Security Council Resolution 1540 in relation to Weapons of Mass Destruction. To achieve this latter goal, all participants in Operation Cosmo were asked to complete a national self-assessment regarding their national standard operating procedures and work practices in this area. a follow-up and reporting phase, during which cases of administrative and criminal wrongdoing were investigated at the national and international levels. To coordinate and provide technical support to the operation, the WCO established an Operational Coordination Unit (OCU) at its Headquarters. The OCU was staffed with national export controls experts and analysts from several WCO Members; it provided support to participating countries, and facilitated and followed-up on international communication. With the support of the OCU, the results of Operation Cosmo were encouraging. Over 140 messages on high-risk consignments were generated by participants during the interdiction phase. Another 380 messages exchanged information on cases, and an additional 180 enquiries were made in relation to technical advice on commodity identification and the operation itself. All cases reported as part of Cosmo were analysed in real-time and those deemed to be low-risk were released, promoting trade facilitation. Those which included elements of administrative negligence or wrongdoing were submitted for correction or further advice through administrative measures at the national level. To date, there have been approximately 10 cases which are suspected of including trafficking and criminal wrongdoing. These cases have been referred for criminal investigation by the States involved, and many are still under investigation. In relation to capacity assessments, the WCO has received around 40 national self-assessments. Based on these assessments, it has become clear that the issue of strategic trade controls enforcement is a new and challenging area for many WCO Members. Various areas requiring capacity enhancements have been identified through these reports. These relate to issues such as legal competence to enforce strategic trade controls, frontline skills to identify and detect dual-use goods, intelligence collection, industry outreach, evidence collection and investigation, lack of training, etc. The WCO is currently following up with those Members who have not yet submitted their reports. Based on new submissions, a general trends analysis will be finalized. This analysis will help the WCO to build future capacity building and technical assistance activities to better support its Members in addressing those gaps that were identified during Cosmo. As the annual WCO Council Sessions approach, Operation Cosmo is in its post-operational phase during which the operation’s final report is being drafted. This report will be presented and discussed, together with the criminal cases uncovered during the operation, at the debriefing event scheduled to take place in the Northern autumn of 2015. Based on the good practices and needs expressed by the participants, the WCO is exploring the possibility of setting up a medium to long-term technical assistance and capacity building programme in the field of strategic trade controls enforcement – the ‘WCO STCE Programme.’ It would focus on training, international cooperation, industry outreach, and the facilitation of information and intelligence collection and sharing. Many Members have also asked the WCO to consider setting up the OCU as a permanent communication and interaction mechanism for export controls and strategic goods experts. The WCO is currently looking into ways of responding to this need. The WCO is also eager to set up a potential ‘WCO STCE Programme’ and is currently negotiating with several different countries in relation to potential support towards the initiative. The ongoing STCE Project, of which Operation Cosmo was a part, has produced a very comprehensive policy and training guidance on strategic goods, and will form a solid foundation for all future activities. These useful tools are accessible to Members on the WCO website or the CLiKC! platform. Are you already busy preparing for the timely implementation of the HS 2017 amendments on 1 January 2017? If not, it is time to start. The Harmonized System (HS) is reviewed every five years to ensure that it is kept up-to-date in the light of changes in technology or in patterns of international trade, to take account of the needs of its users, and to secure uniform interpretation. The next revision of the HS will enter into force on 1 January 2017 following the adoption of the WCO Council Recommendation of 27 June 2014. Implementation of the changes involves an immense amount of work by Customs, international organizations and the international trade community. This is evidenced by the fact that not all HS Contracting Parties were able to implement the previous sets of amendments to the HS on time. 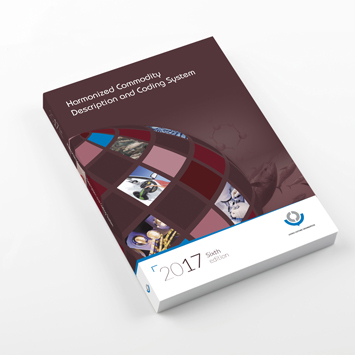 To facilitate the timely implementation of the changes, the accepted HS 2017 amendments were published on the WCO website – www.wcoomd.org/en/topics/nomenclature/instrument-and-tools/hs-nomenclature-2017-edition.aspx – in January 2015. The dedicated webpage also provides a brief overview of, and background on, the 2017 changes to the HS Nomenclature, as well as Correlation Tables between the current 2012 edition and the amended 2017 edition. At its 55th Session in March 2015, the HS Committee reached provisional agreement on a large proportion of the consequential amendments to the HS Explanatory Notes. The related Annexes to the Report of the Committee’s Session are available to WCO Members on the HS Committee’s 55th Session webpage. The updating of all HS-related publications, such as the Nomenclature, the Explanatory Notes, the Classification Opinions, the Alphabetical Index and the HS Database, is in full swing. The updated versions will be released in early 2016.